System Shock – SHODAN back from the dead? 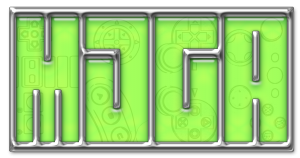 How many of you remember the game made by Origin back in the 90’s called System Shock? I can fondly remember playing it with the lights turned down, and the creepy voice of SHODAN sending chills up and down my back. It’s spiritual successor, the Bioshock franchise shows that the genre is still alive and kicking. System Shock is referred to as one of the scariest games ever made. Feeling constantly hunted and a subliminal dread that follows your every move heightens the atmosphere to a nerve grating level. Utilizing the “Dark” engine that was also used in the Thief game, the AI was one of the first to incorporate sound detection and response. You make a sound as a character, and the computer sends mobs after you where you made the sound. It also allowed mobs to call other mobs in for assistance. Well, Good news everybody! The 13 year legal battle that kept System Shock from being available to you has ended and Good Old Games has re-released an optimized version for modern computers! If you haven’t experienced this game yet, make sure to go and pick it up! 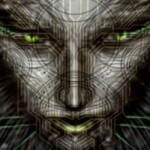 Comments Off on System Shock – SHODAN back from the dead?